– Alan B. Shepard, Jr., to Mission Control after delays during his four-hour sit atop the Mercury-Redstone rocket. May 5, 1961. On this day in 1961, fifty years ago, a 10-story Mercury-Redstone 3 rocket ignited at Cape Canaveral, Florida, successfully launching the first American into space. 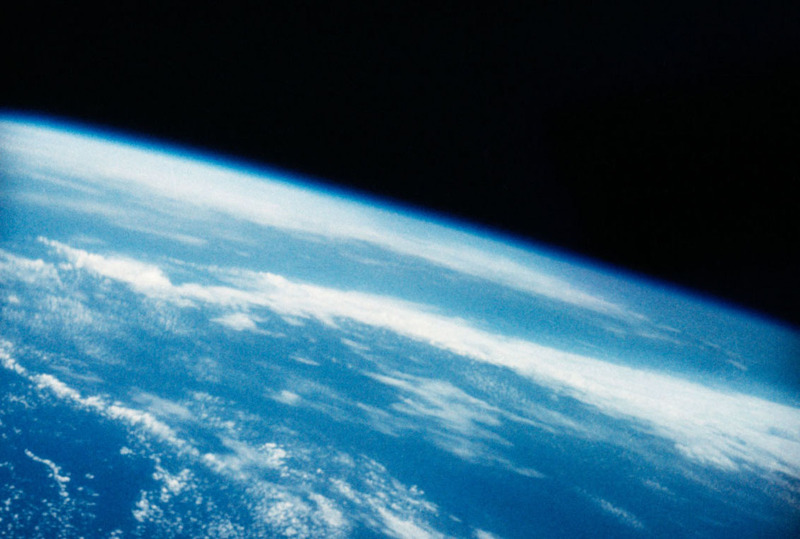 The Soviet Union had already beaten the US to this accomplishment – as did several chimps, monkeys, bugs and a couple of dogs – and with the country wondering how we were going to respond to the challenge the first of a new breed of heroes was successfully sent where no American man had gone before. That man was a accomplished, awarded, charismatic – and rather enigmatic – pilot named Alan B. Shepard, Jr., and this is his story. Skillfully written by author Neal Thompson, Light This Candle: The Life and Times of Alan Shepard (©2004, Three Rivers Press) is an entertaining and gripping biography of the “intense, colorful and dramatic” pilot prodigy who would become the first American to fly a suborbital flight – and later be the fifth man to walk on the Moon (and the only one to drive a golf ball there!) The book is wonderfully written, spanning Shepard’s early life as the plucky son in a sensible, established family in a small New Hampshire town to his exploits in Naval academy and later in World War II, during which he married his wife Louise – the woman who would put up with his “flamboyant, cocky” behavior as she raised their three daughters in various homes across the country, becoming his “anchor to the Earth” – to his time as a test pilot for the Navy’s newest jet aircraft, and eventually to his days as one of the nation’s newest and most glamorous public figures: the Mercury 7 “Astronauts”. 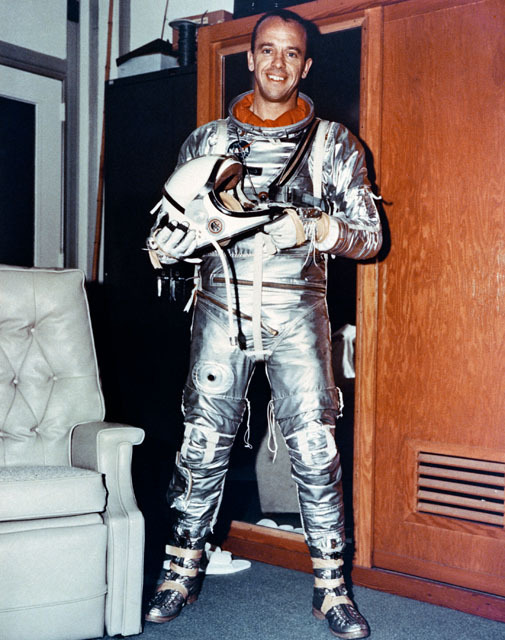 These men were the best of the best, our country’s top pilots and daredevil engineers, and Alan Shepard was the first among them to enter – if only briefly – the new frontier beyond our planet. Light This Candle gives entertaining insight not only into the enigmatic Shepard but also the life of a young Navy man in the South Pacific, a “flat-hatting” pilot-in-training on the Texas Gulf coast, a full-fledged Navy pilot landing planes onto the decks of heaving carriers, a test pilot pushing new machinery to its limits – and beyond – forty thousand feet over the Mojave Desert and a member of an elite group who pierced the atmosphere and later crossed the vast distance between the Earth and the Moon. This is a portrait of Shepard, crisply told with sharp attention to human nature, but also of the development of our space program, which ultimately became what it is today. For better or worse, we would not have accomplished what we have in the past five decades if it weren’t for men like Shepard. Reading this shines a light into what made men into heroes, and what made heroes into spacemen. As the nation remembers Shepard’s historic flight today, this is a great book to add to any space enthusiast’s library. It offers a unique, wonderful and often amusing perspective on one amazing American’s voyage to the stars. Available now at your local bookstore or at Amazon.com. Also look for Nancy Atkinson’s review and interview with Neal Thompson on Universe Today. Added 5/6/11: here’s a great 10-minute video about Shepard’s flight and how he is remembered by his family and fellow Mercury 7 astronauts. Previous Post iseefaces…on the Moon! 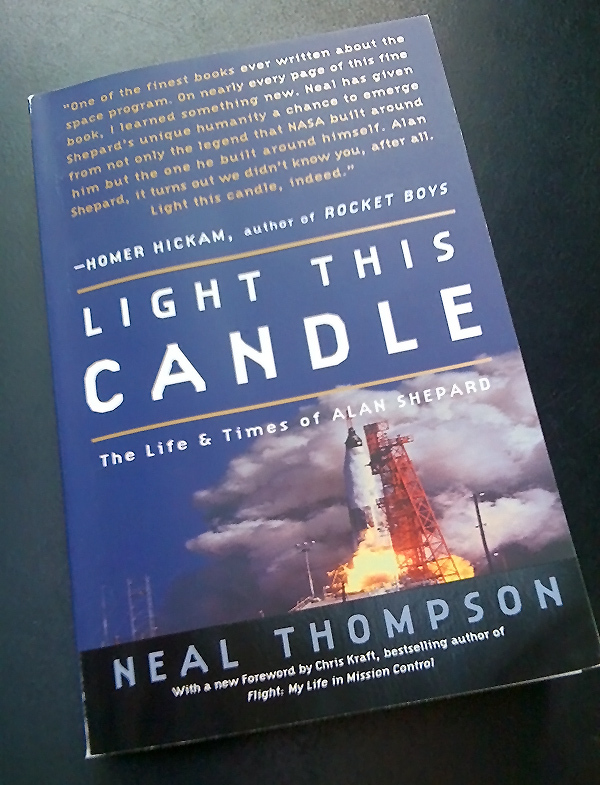 Win a copy of Light This Candle to add to – or start up – your spaceflight library! Email jmajor@lightsinthedark.com with subject line “Freedom 7” to enter. I will pick a winner via random drawing on Wednesday, May 11 to have a new paperback edition shipped to them. It’s a great read, you’ll love it! Thanks for the great bio! Congratulations to Ron from Lincoln, NE for winning a copy of Light This Candle! Thanks to everyone who entered.